Zubrowka is famously susceptible to the extremes of the Scottish summer. Appropriate cover is essential to make sure that rare creature makes it through to autumn. 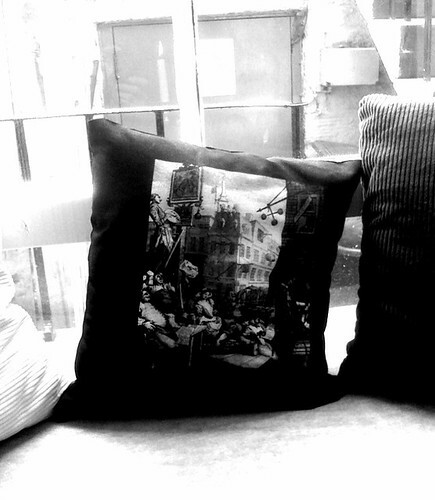 Because, let’s face it, more bars should have Hogarth’s Gin Lane silkscreened onto throw cushions. Well played, the Saint – which is run by the lads behind Bramble and will therefore start hoovering up awards right about…now. Photo © Hugh Beauchamp, 2009. Made in Pano (opens iTunes). 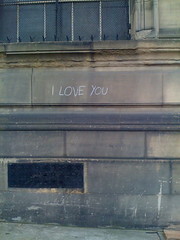 Found around the back of the National Museum of Scotland.